Pete Yates and Anna Ingham have been sharing Yoga and therapies with their local community at the Parkdale Yoga Centre, Wolverhampton, for the last twenty years. They have conducted many retreats, workshops, yoga weekends and teacher trainings and given many lectures on Yoga and associated topics. Their approach is straightforward, simple and non-sectarian and can therefore be of benefit to a wide range of people. The regular weekly classes include sitting meditation, easy Hatha Yoga postures and breath disciplines, and deep relaxation. Pete Yates has been practising Yoga for half a century and teaching it since the 1970s. He holds a PhD in philosophy and is an active researcher in both its Eastern and Western variants. He is a founder member of the Independent Yoga Network and was its first Chair for six years. He is currently Secretary of the organisation. Anna Ingham is a fine art graduate and a busy practitioner of The Bowen Technique, an effective and safe body work therapy which treats joint pain, back pain, IBS, and many other conditions. 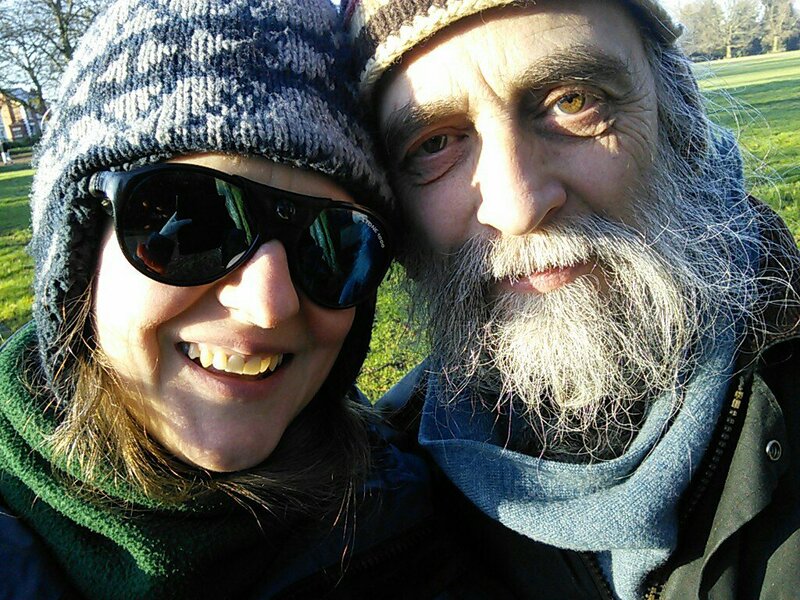 Take a look on the LINKS page to find out more about Anna and Pete's creative and philosophic work.